NEW! (2 CD set) The vision and goal of Summa Enterprises is to "share the wisdom of the saints" by bringing together two of the greatest and most effective avenues of heavenly grace: the spiritual wisdom of the saints coupled with the Holy Rosary, which is one of most powerful intercessory prayers available to the faithful. 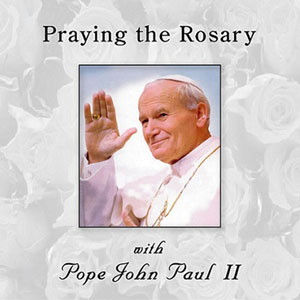 This meditative rosary CD has a short quote from Blessed Pope John Paul II before each Hail Mary prayer.